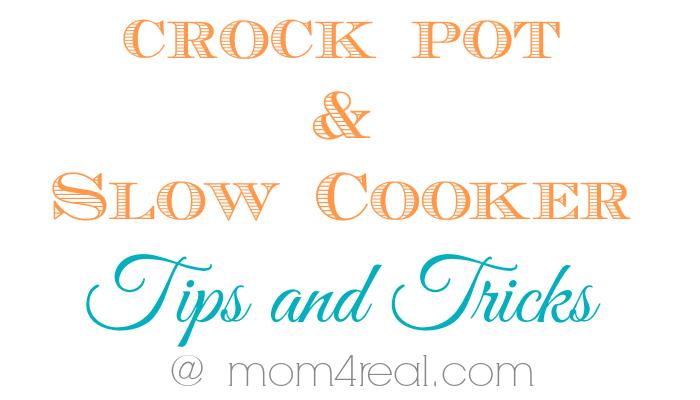 It’s that time of year…time to break out your crock pot or slow cooker! Mine is my savior. It allows me to take a few minutes to prepare my meal, place it in the crock pot, then walk away and not worry about what I am going to make for dinner. Truth be told, it’s the first thing my kids ask when they get in the car after school, “Mom, what’s for dinner?” Usually I just say I have no idea, then start trying to figure out what I can come up with that doesn’t need to be thawed or prepped. So, in an effort to have an answer for them most days, I have started using my crock pot as often as possible. 2. Brown meats before adding them to the slow cooker! It will help the meat maintain it’s flavor and help with appearance too. Not to mention, it helps lower fat. 3. For the most part, you should thaw frozen vegetables before using them in a crockpot. Otherwise, they may add to the cook time if they make the liquids cooler or need more time to thaw than the other ingredients. 4. Pay attention to cook times! If something says cook 8-10 hours on low, realize your meat will turn out differently for each. Example: at 8 hours, you may have to slice your meat, at 10 hours, it will most likely shred. If your recipe says cook 4-10 hours on low, that doesn’t mean it will cook the same for 4-5 hours on high. It may…or it may not. 5. Add soft veggies towards the end of the cooking time. This is the ONLY time you should be opening your cooker. Tomatoes, mushrooms and zucchini will maintain their color and won’t be mushy if you hold off and add them towards the end of cooking time. 6. This may be my favorite…Use the juices at the bottom of your pot to make a gravy. They are usually thin, but when mixed with a little flour and cooking for an extra 10-15 minutes, you can make a killer gravy! 7. 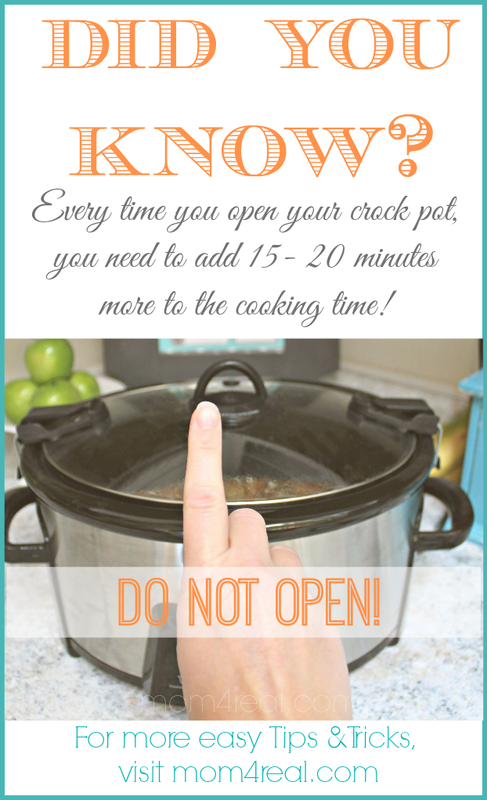 Use your crock pot to slow cook soups! We have taken many of our stove top soup recipes and put the ingredients in the crock pot on high for 6 hours instead, and the flavor difference is AMAZING! 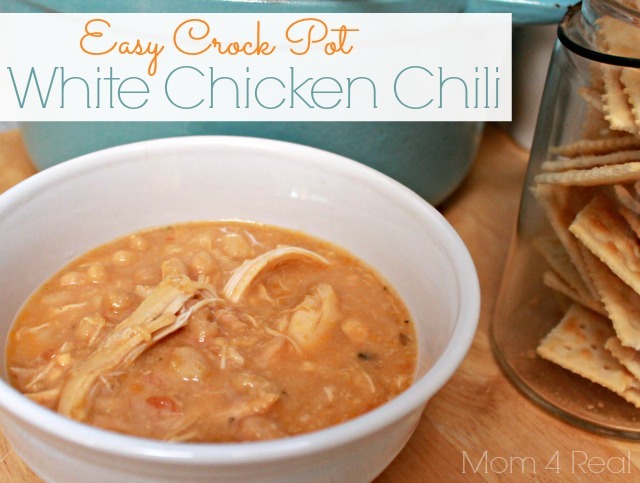 You can try my favorite Crock Pot White Chicken Chili if you like…it is definitely a Kielman family favorite! Do you have any tips and tricks you would like to share? Leave a comment below, I love learning new things. 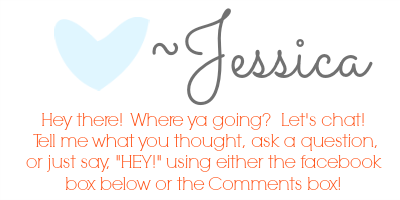 If I use your tip within a post, I’ll be sure to give you proper credit!